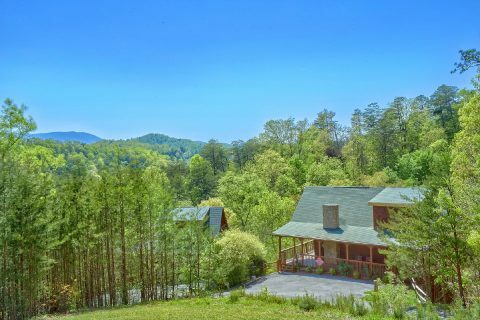 Nestled in the scenic Upper Middle Creek Rd. 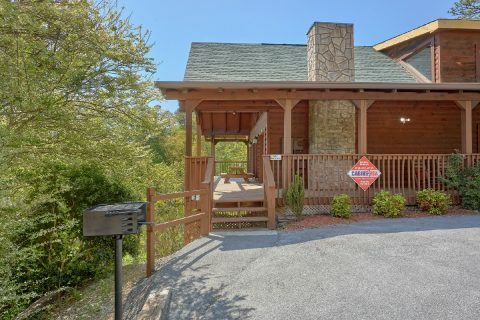 area of the Smoky Mountains, "Memory Maker" is an excellent 3-bedroom cabin that keeps vacationers close to Dollywood and Pigeon Forge, TN! 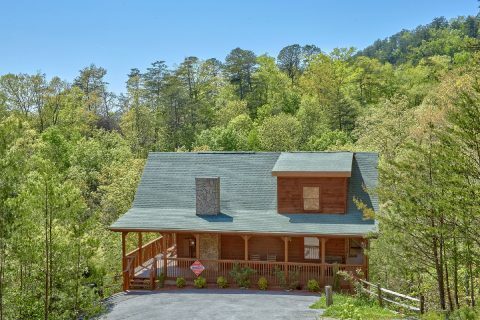 Not only is this cabin located less than 4 miles from the action-packed Pigeon Forge Parkway, but this rental's location places you close to Dollywood Theme Park where visitors can enjoy live performances and heart-pounding roller coasters like Wild Eagle and Lighting Rod. 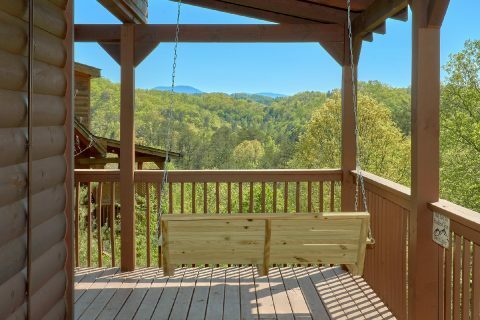 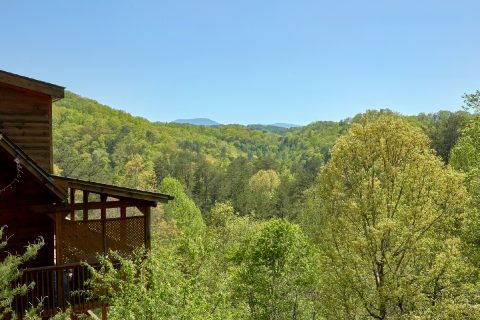 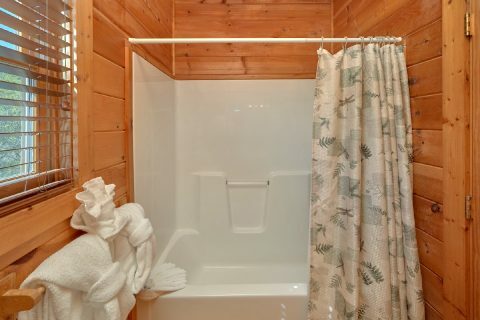 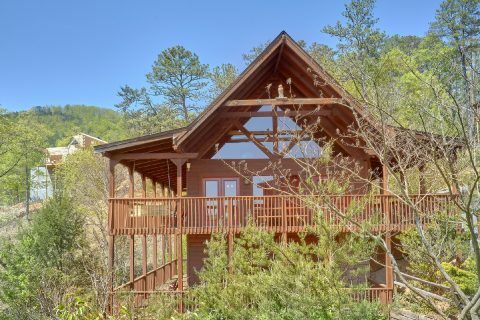 When you aren't busy experiencing the best that Pigeon Forge has to offer, you'll love unwinding at this peaceful cabin in the Smokies with a nice mountain view. 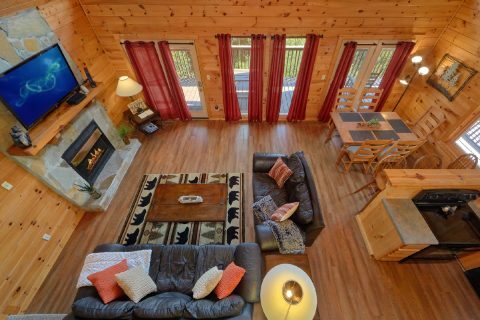 Step into the main living area on the main level and you'll find an excellent place for enjoying the company of friends and family. 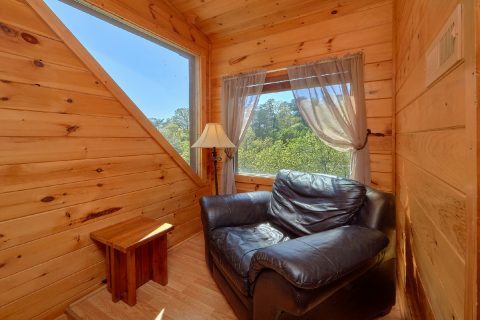 This welcoming room features a television, a gas fireplace, and large windows to let in plenty of natural light. 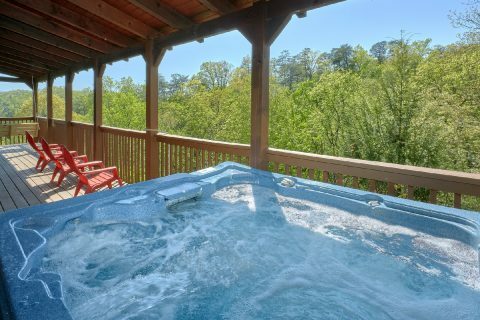 From here, you can step outside onto your cabin's deck to take in the mountain view or to enjoy a soothing soak in the year-round outdoor hot tub. 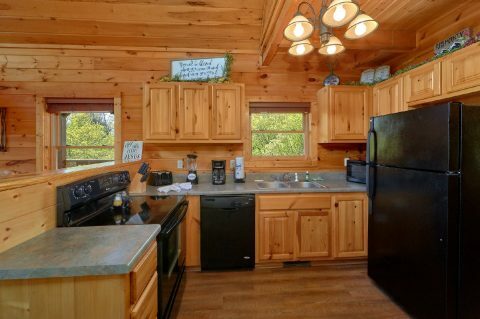 Nearby, your cabin provides a full kitchen with a breakfast bar and dining area for enjoying a delicious meal during your stay. 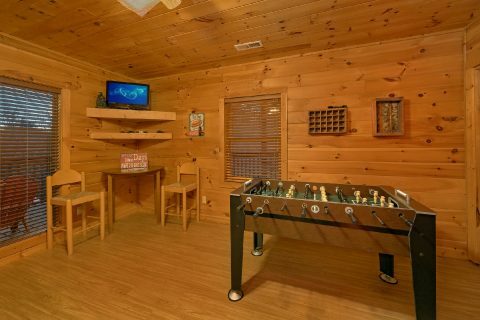 Additionally, this cabin provides you with a charcoal grill if you want to grill out on your vacation. 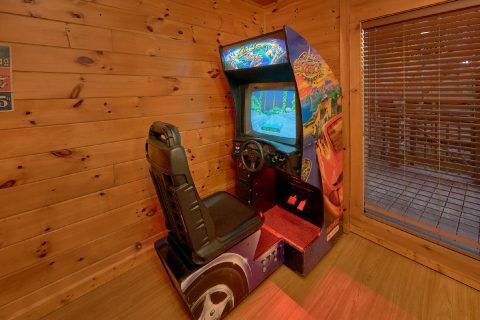 For some fun and friendly competition, you'll find hours of entertainment in the downstairs living area that boasts a pool table, a sit-down race car arcade game, a foosball game, and a multi-cade arcade game. 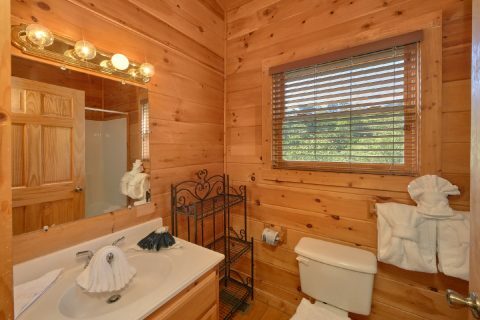 For some nice relaxation outside, you can take a short walk on the trail to a creek that runs through this cabin's property. 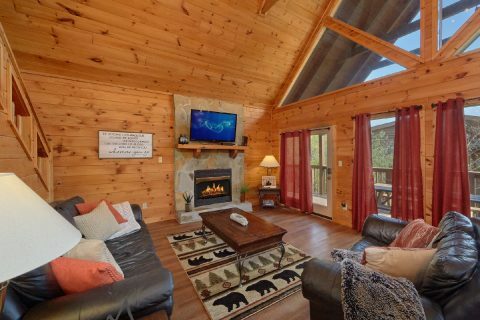 After a great day spent riding roller coasters at Dollywood or hiking in the Great Smoky Mountains National Park, you can look forward to a restful evening in your cabin in the mountains. 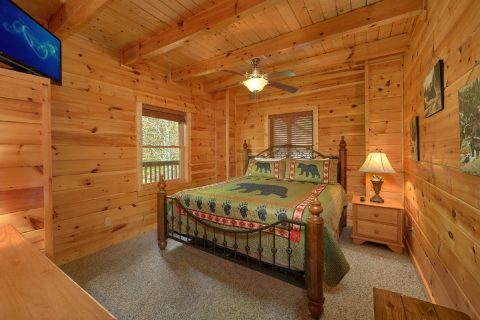 The main level is home to a king-size bedroom while the upper floor comes complete with a master bedroom with a king bed and bath. 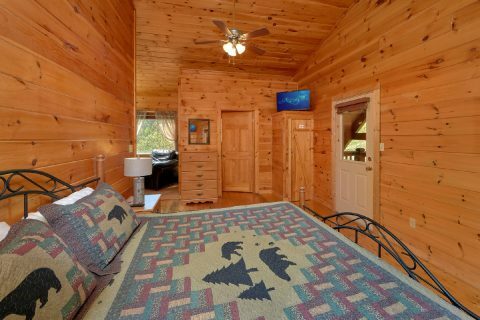 The lower level of this rental comes complete with a bedroom with two queen bed. 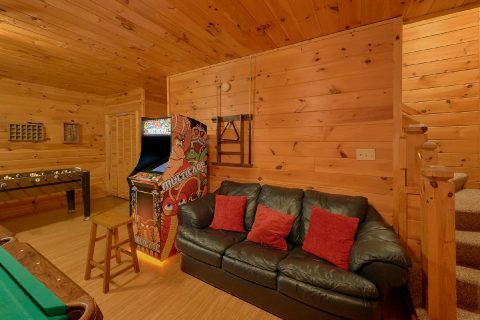 For extra guests, there is a sleeper sofa in the main level living area. 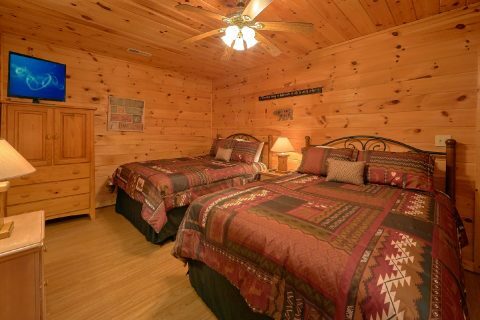 Altogether, "Memory Maker" can sleep up to 10 guests in comfort. 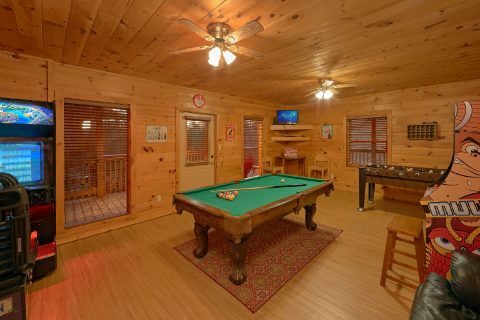 With this cabin's WiFI Internet access, you can easily share pictures of your vacation with friends and family back home. 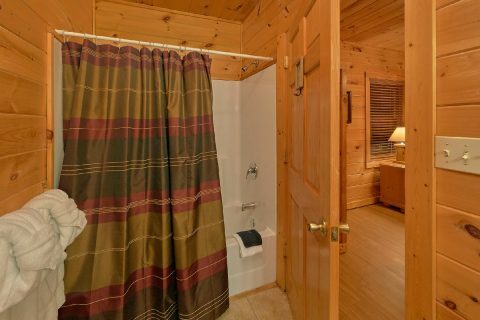 Additionally, this cabin provides a washer/dryer so you can keep your clothes fresh and clean during your stay. 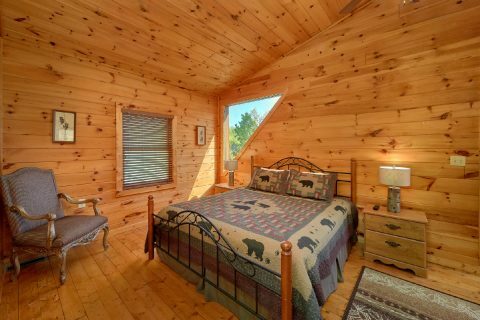 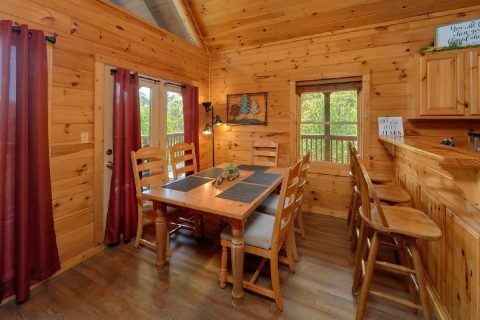 Book this cabin that's only minutes away from Dollywood and Pigeon Forge today with Cabins USA to earn a 15% discount on your nightly rate in the Great Smoky Mountains of Tennessee!